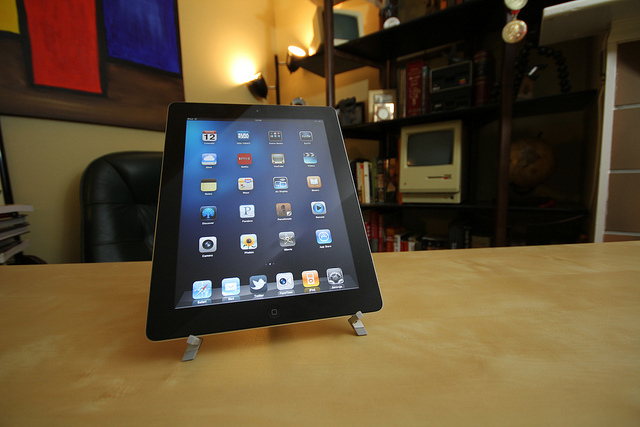 Refurbished iPad 2’s are now appearing in Apple’s online store for sale Mac Rumors. The refurbished iPad 2 devices come at a $50 discount off of those that are brand new, which isn’t a whole lot, but it’s a start. All refurbished iPads carry the same return and warranty policies as brand-new units, and also include new batteries and outer shells. All other components are cleaned and tested during the refurbishing process, with defective parts obviously being replaced. Current stocks are listed as shipping in 1-3 business days. Apple has been offering refurbished original iPad models at its lowest prices ever, with the 16 GB Wi-Fi model coming in at $299. Availability of the low-end models has been scarce, however, as stock has been quickly depleted by customers taking advantage of the deep discounts. The top-of-the-line refurbished 64 GB iPad 1 is currently on sale online for $599. With speculation surrounding the launch of the iPad 3 near the holidays, it’s a good time to start clearing out inventory of old iPad 2 models that will be obsolete soon, or getting refurbished and slightly discounted models into the hands of as many students as possible. The week preceding Labor Day typically marks the beginning of the back-to-school shopping rush. Read next: Fail fast, Fail often, Fail by design.